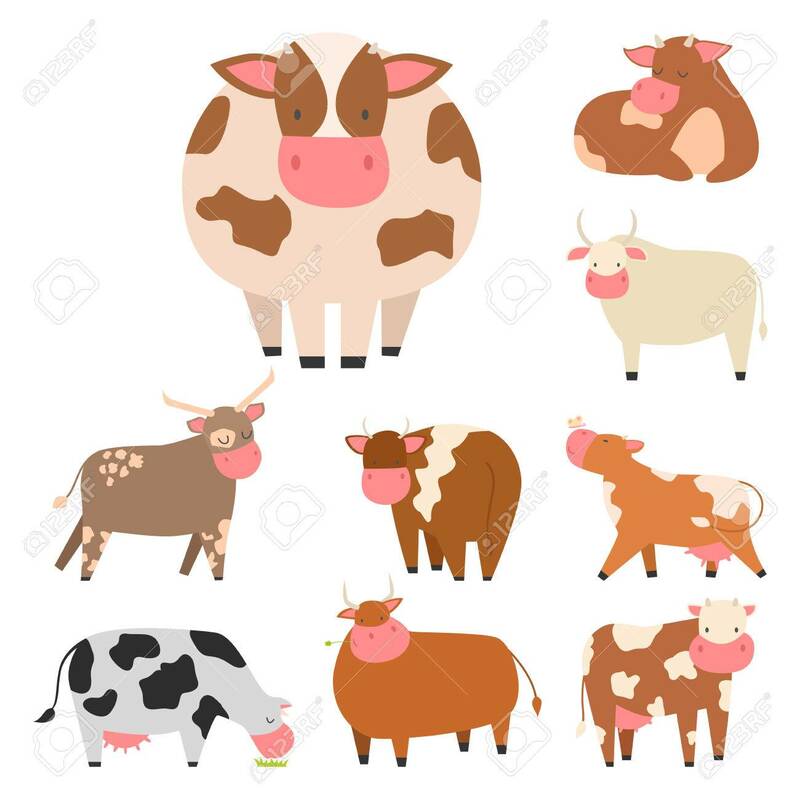 Bulls Cows Farm Animal Character Vector Illustration Cattle Mammal Nature Wild Beef Agriculture. Royalty Free Klipartlar, Vektör Çizimler Ve Stok Çizim. Image 76555124.